Join us as we learn to Crochet with Donna at the Flowood Library on 1/17/2019 from 6:30-7:30 p.m. You will need your own crochet hook and your favorite color yarn. Preregistration is requested. According to World Book Online, a library database available at our CMRLS website, crochet not to be confused with the word croquet “is a type of needlework that uses a hooked needle to pull a thread into interlocking looped stitches to form a fabric. People commonly use crochet to create baby clothes, sweaters, hats, mittens, purses, shawls, comforters, and afghans. Artists create flat and three-dimensional artworks in crochet. People first crocheted with wool yarn, or fine cotton, silk, or linen thread. However, almost any fiber may be crocheted. Today, people crochet items made of light and heavy cotton, acrylic and wool yarns, and plain and metallic threads. Crocheted material may have a smooth, shiny, fleecy, or nubby texture. Different colors and threads may be combined for interesting surfaces. People may also work in beads, sequins, and baubles. Crochet hook sizes are generally chosen to match the thread thickness. Thicker yarns need thicker hooks. The hooks may be made of metal, wood, plastic, or bone. There are many different crochet stitches. The basic chain stitch begins with a loop. A thread is drawn through the loop to form another loop. The first row builds up in this way until a length of stitches forms and becomes the fabric edge. The final fabric results by working loops into rows back and forth from the beginning edge row The middle finger and thumb of one hand hold the thread so it can be picked up by the hook held in the other hand. Other stitches include the single, double, slip, loop, bullion, picot, and cross treble. These stitches are all variations of the chain procedure. Crocheting is a popular hobby because the materials are usually inexpensive and the work proceeds quickly. The projects are easy to carry, which enables people to work on them in spare moments. Many classes, magazines, exhibits, and Internet discussion groups are dedicated to the subject of crochet. Pam, a member of our library staff, offers a testimonial of her experience with the class. If you come to the Flowood Library on the third Thursday night of each month, you will encounter a group of ladies who are excited about learning to crochet. The class is designed for beginners who want to learn how to crochet, although we have those who are experienced come to be part of the class. We welcome any and all who have an interest in crocheting or who just want to observe and be sociable. The class originated in September 2018 as a result of a number of patrons expressing a desire to learn how to either crochet or knit. We have a patron, Donna, who volunteers her time to teach a beginner level crocheting class. 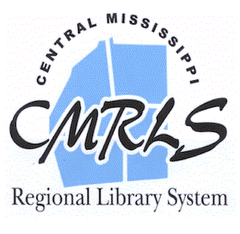 The first thing that a person interested in the class needs to know is that they can either call the Flowood Library or stop by and preregister for the class. However, if one does not preregister, they can just come to the class at 6:30 p.m. on the third Thursday night of each month. Normally a person attending the class will need to bring their own supplies. This includes a crochet hook and yarn. We suggest purchasing just regular yarn and a size “J” crochet hook. The first thing that is taught is the basic chain stitch. This is the beginning stitch of all crochet projects. Next, Donna teaches how to single crochet and then double crochet. So far most of the attendees have learned how to chain stitch and single crochet. However, if a person has never been to the class, they can still come and start from the beginning to learn how to chain stitch. Donna provides both one on one instruction and group instruction. Currently the class is crocheting a small square just to give everyone practice crocheting. We have discussed crocheting a scarf next using the single crochet stitch. This will be a fun and easy project. Then Donna is going to teach how to double crochet and how to read a pattern for a crochet project. We encourage anyone to come who has an interest in crocheting or just would like to make some new friends. Make 2019 the year you venture out to the library to learn something new and fun.